Range Rover has canned its ultra-expensive SV Coupe, before a single one has even been delivered. Designed to go up against the new generation of uber-expensive large SUVs like the Bentley Bentayga, Rolls Royce Cullinan and the forthcoming Maybach-spec Mercedes-Benz M Class, the three-door SV Coupe – which debuted at last year’s Geneva motor show - would have retailed locally for well more than $500,000. 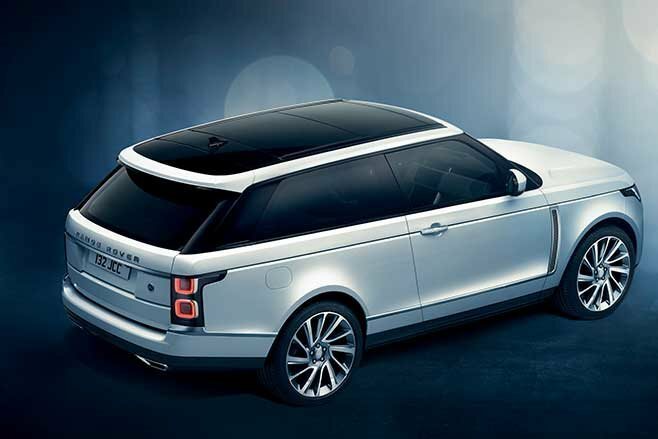 The bespoke three-door would have taken customisation to new heights for the company, with more than 100 paint choices and powered front doors, while the only panels that would have crossed over from a regular Range Rover were the bonnet and the lower half of the rear tailgate. Set to be powered by a supercharged 416kW/700Nm 5.0-litre supercharged V8 courtesy of Range Rover’s go-fast division SVO, the SV Coupe was due to go on sale by March this year. Unfortunately, RR’s parent company Jaguar Land Rover finds itself in the midst of a perfect storm. Sales of its Range Rover and Land Rover products have cratered in its biggest market, China, while its UK operations are about to shed thousands of workers in the midst of Brexit uncertainty. The company says that the funds freed up by not building the projected 999 SV Coupes will be ploughed back into new product development – it’s not a bad idea, as the Indian-owned British stalwart has a long list of diesel-powered vehicles that aren’t popular with either buyers or governments around the world. “We have taken the difficult decision to inform our customers that the Range Rover SV Coupé will not proceed into production. Instead, Land Rover is focusing its resources and investment on the next generation of world-class products,” the company said in a statement.